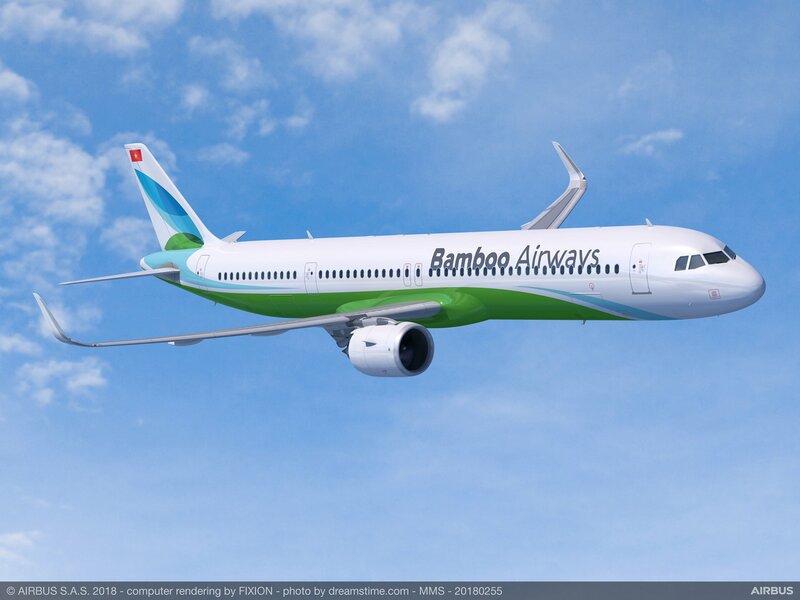 Competition in the fast-growing Vietnam market is set to intensify further as startup Bamboo Airways moves toward launching its long-delayed maiden flight after securing its Air Operator’s Certificate (AOC) from the country’s Civil Aviation Administration (CAAV). Established in May 2017 as a subsidiary of the resort developer FLC Group, Bamboo has faced repeated delays over securing its AOC after doubts surfaced over its financial viability and operational capabilities. In a January 8 press release, FLC said the airline earned the AOC after satisfying the CAAV’s operational requirements but failed to specify a launch date despite recently revealing plans to commence in mid-January. Following a hybrid business model, Bamboo is ambitiously eyeing 37 routes by year-end, mainly to destinations where FLC operates resorts, including Vietnam’s south-central Binh Dinh Province and the northern city of Thanh Hao. This year’s plans also call for international widebody service to Asian countries, starting with Japan, Korea, and Singapore as well as to European destinations. Last year the airline signed a memorandum of understanding with Airbus covering up to 24 A320neo narrowbodies and a provisional deal to buy 20 Boeing 787-9 Dreamliners worth $5.6 billion. While Bamboo plans to exploit new and underserved destinations across the country, the new entrant will face stiff competition from low-cost carrier (LCC) Vietjet, which has grown rapidly since 2011 to become the largest airline in Vietnam, holding 45 percent of the local market. State-run Vietnam Airlines, its budget affiliate Jetstar Pacific, and its wholly-owned domestic airline, Vietnam Air Services Company (VASCO), dominate the remaining share. Bamboo will also face off against Tony Fernandes, who plans to launch an AirAsia-Vietnamese joint venture sometime in August. The proposed airline, which marks AirAsia’s third attempt to enter the fast-growing Vietnam market, will operate a fleet of five or six Airbus A320s and A321s to domestic and regional destinations. With Vietnam's skies beginning to look crowded, international bodies have voiced renewed concerns over safety as well as congestion at airports across the country. In late December, the CAAV suspended Vietjet’s capacity expansion plans and put the LCC under supervision, following a string of incidents. Vietjet will look at launching new flights across the Asia-Pacific after the suspension gets lifted in mid-January while maintaining an order book of 371 aircraft scheduled for delivery by 2025. To accommodate a new slew of routes and increase airport capacity, the government expects that 13 international and 15 domestic airports will serve Vietnam by 2023. However, in the face of a limited state budget, the country has turned to the private sector to fund airport infrastructure projects. In late December, Vietnam’s first privately owned airport, Van Don International Airport, opened under a Build-Operate-Transfer scheme, with investment capital from the Sun Group of $321.4 million. The Imex Pan-Pacific Trading Group and the FLC Group have also expressed interest in aviation infrastructure development.